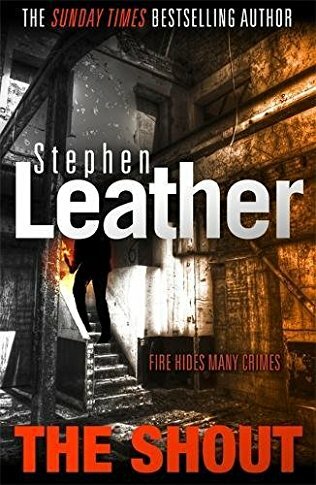 Thriller writer Stephen Leather surprises readers by leaving his multiple series behind and writing a stand-alone that enters the world of London’s Fire Brigade in The Shout. Filled with realistic details and insider knowledge that makes that dangerous profession spring to life, Leather introduces Vicky Lewis, a strong member of the brigade and already a crew manager, despite not having reached her thirtieth birthday. Then tragedy strikes during a fire as Vicky is saving a man’s life. She receives catastrophic injuries that change her appearance and her life, and threaten her livelihood. After months of painful recovery and therapy, Vicky returns to work at the Fire Investigation Unit, under the veteran firefighter known as The Grouch, Des Farmer. Forced to work together, the two form an uneasy alliance until Vicky learns of Farmer’s investigation into a series of fire-related deaths of young women and decides to help him find their murderer. Chapters from the killer’s point of view show his meticulous care in setting up the scenes, adding to the ghoulish tension. Soon Vicky and Farmer find themselves racing against a killer who knows how to set a scene so he can’t be found–and then it gets personal. Tense and with Leather’s tradmemark storytelling. Great cover! I’ll look this one up.